Please select an option Black White Red Green Orange Blue Please select a Color. Make every drop of sweat count without the fear of damaging your headset with Bluetooth 4.1 technology in a sweat-proof design! 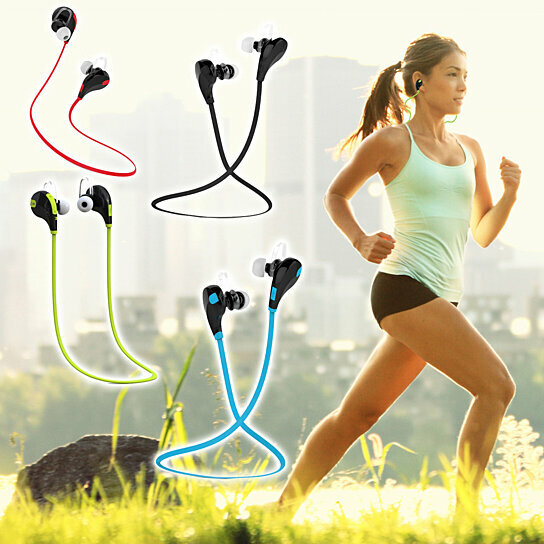 These headphones have built-in 85 mAh battery with up to 5 hours of talk time and 175 hours of standby time. The HD sound quality delivers a crystal clear, natural audio experience, while the noise isolating in-ear design enables you to listen at safer volumes while improving audio quality and keeping the tunes to yourself. The headphones also have the ability to pair two phones simultaneously via Bluetooth to allow you to easily switch between calls. Hands-free made easy: Keep your hands on the wheel and eyes on the road. These ergonomic earbud are comfortable to wear and allow you to answer the phone anytime and anywhere using voice commands for picking up / rejecting calls and the ability to control music and calls directly from the headphones.